Dixie Frantz is a wife, mother of three, grandmother to Jacob, Ben and Zelie. 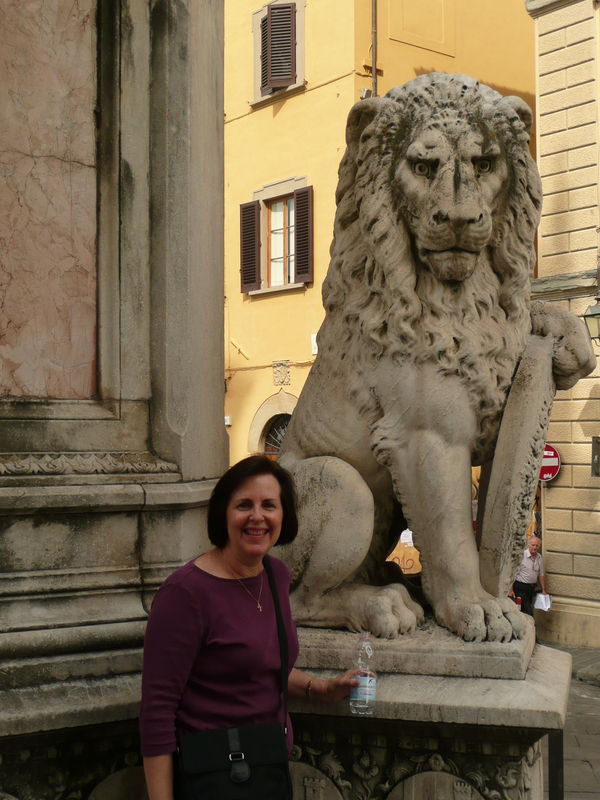 She has quilted for nearly 40 years, is a writer, traveler and lover of life. In 2018, after taking a class she discovered collage art quilting. Her first pattern, a colorful collage art panda named Moo-Shu, is for sale on Etsy. Her second pattern, Trudi the Reindeer was just recently released. Check out her Home Page for a link to her Etsy shop. Dixie has volunteered with a prayer quilt ministry at her church for many years. The group makes about 80 prayer quilts per year for those sick in the parish. She has also volunteered for decades on behalf of the disabled community. For many years, Dixie has also made a quilt for the Village Learning Center’s annual gala which raises funds for their awesome day center. Her middle child/angel, Mimi, age 34, was born with cerebral palsy and attended their day center until in late 2018, she received her angel wings. In early 2016, her husband of 46 years, was diagnosed with stage four kidney cancer and was successfully treated in an immunotherapy clinical trial at MD Anderson Cancer Hospital in Houston, Texas. She is blogging about this cautionary tale which continues to humble. Dixie Frantz has written “You Gotta Laugh,” a humorous newspaper column for the past 22 years. Her columns have appeared in as many as 10 local Houston area newspapers. Dixie’s ramblings showcase the funny, amusing and sometimes touching, slices of life from the suburbs. Besides blogging for over six years, her writing credentials include over 450 humorous columns, along with lots of feature and travel stories for a host of weekly newspapers. She is a “Chicken Soup for the Soul Celebrates Teachers” contributor, has written for a national women’s magazine, and MD Anderson Cancer Hospital’s blog. I just wanted to let you know that I have nominated you for the One Lovely Blog Award. I enjoy reading your posts, so this is my way of saying thanks! The photo above looks very much like Austria – is it? It is actually near the entrance to a church in one my favorite cities in Europe … Florence.